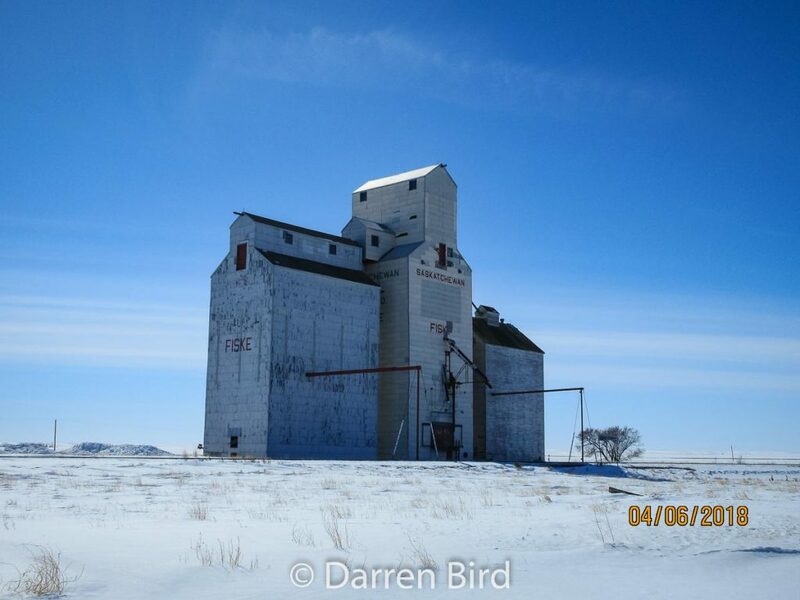 Grain elevator in Fiske, SK, Apr 2018. Contributed by Darren Bird. 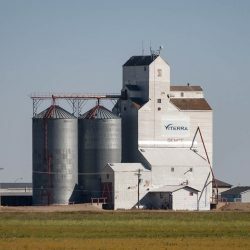 The grain elevator in Fiske, SK is a former Saskatchewan Wheat Pool elevator. 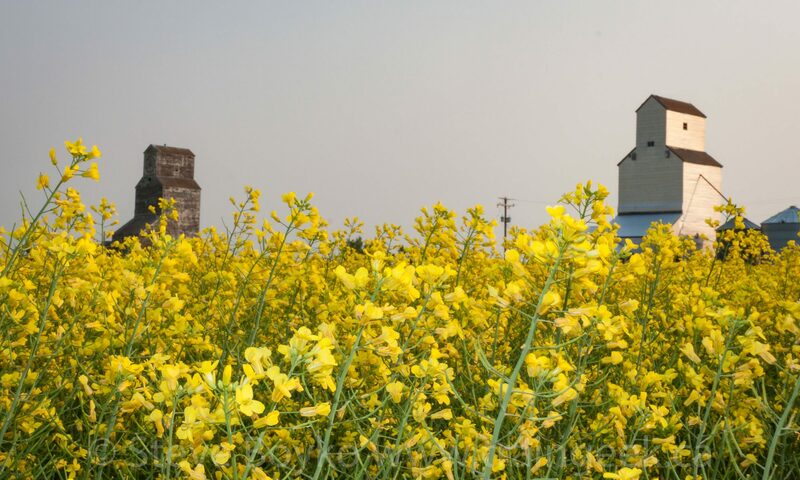 It has two annexes – one much larger than the other. 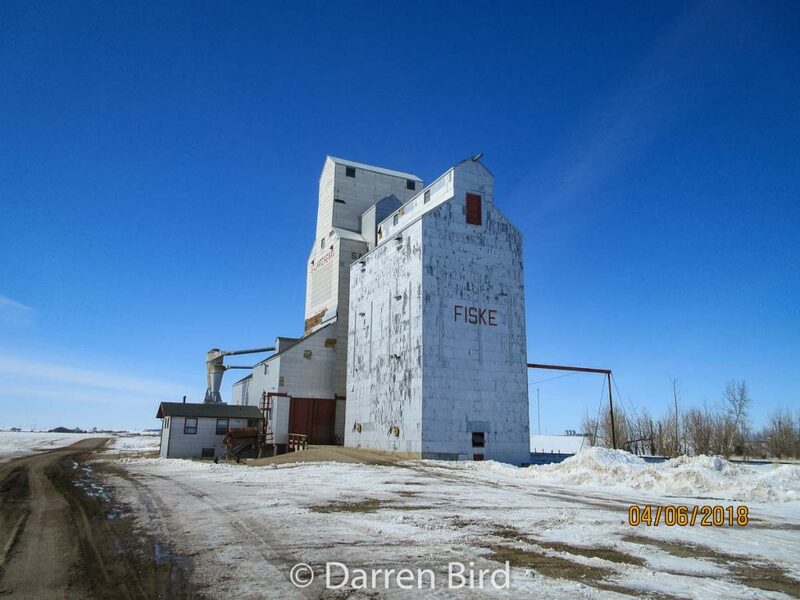 Fiske, SK grain elevator. Contributed by Darren Bird.